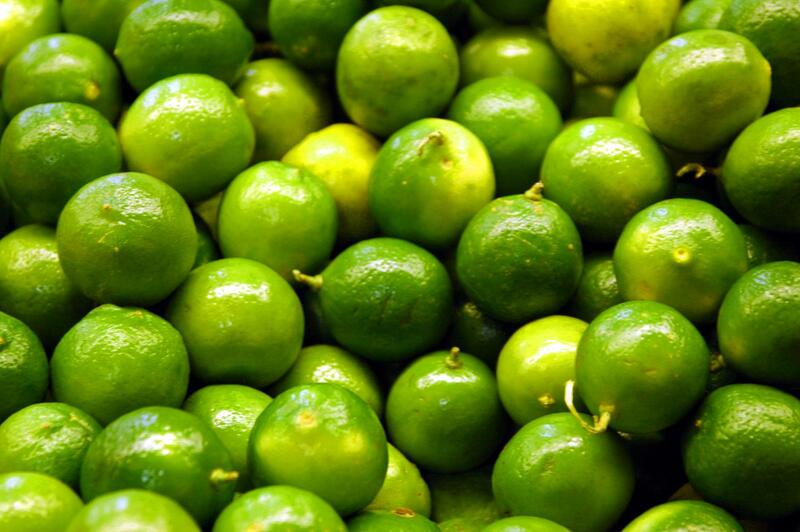 Limes: several species, including key lime Citrus aurantifolia (Christm.) Swingle, limequat Citrus × floridana (J. Ingram & H. Moore) Mabb., Citrus limetta Risso etc. The citrus industry produce fruits that do not meet requirements for fresh products (up to 2% in Spain, for instance) or that have to be withdrawn from the market in order to maintain prices (up to 5% of commercialized fruits in the European Union) (Piquer et al., 2009a). One possible use for these discarded fruits is animal feeding. Citrus fruits can be given to animals: they can be fed whole or sliced and they can be fed fresh, ensiled or dried. Citrus fruits are rich in water (85%), sugars (49% DM), pectins (20% DM) and low in protein (6.5% DM). 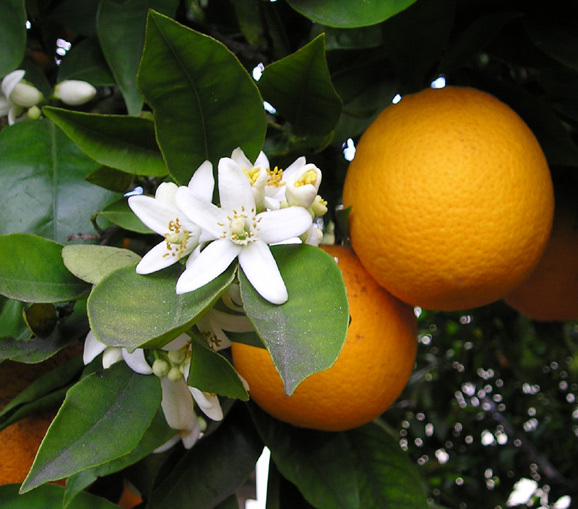 However, the variability is important, as there are different species, many varieties, various collection stages and geographical origins: for instance, sugar content varies between 17% and 65% and pectins from 6 to 34% (based on 125 samples of Spanish oranges, mandarins and lemons, Piquer et al., 2009a). Protein and mineral supplementation should be provided to animals fed fresh citrus fruits (Göhl, 1978). Whole citrus fruits can get stuck in the gullet and cause asphyxia: slicing the fruits is therefore recommended. Animals grazing citrus orchards tend to eat the fallen fruits or pick them on the branches and may be at risk (Göhl, 1978). 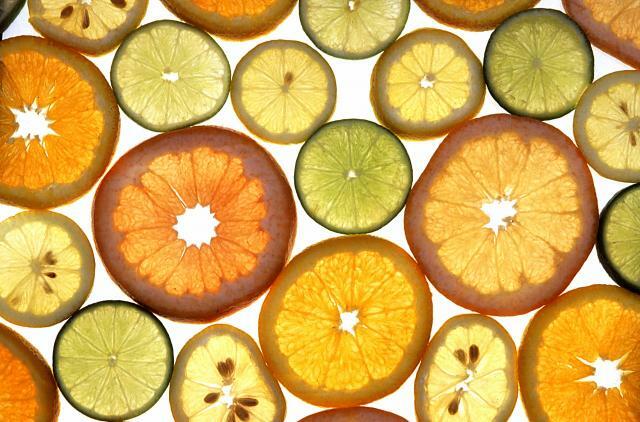 Whole citrus fruits should behave in a similar way to the citrus pulp, but as higher amounts of sugars, easily rumen fermentable are present, a greater risk of acidosis problems could also be expected, especially if whole citrus are fed as a concentrate supplement (Piquer et al., 2009a). Early research on dairy cows fed whole citrus fruits found that they could consume up to 40 kg of fresh fruits per day with no apparent harmful effects (Volcani, 1956). In some trials citrus fruits had a beneficial effect on milk yield and temporarily raised the milk fat content (Volcani, 1950). Cows with access to fresh oranges produced more milk than cows on clover pasture (Göhl, 1978). Feeding citrus has been reported as tainting the milk, though this is disputed. It is suggested that grapefruit should only be offered to dairy cows immediately after milking to avoid tainted milk with altered flavor (Göhl, 1978). Whole oranges and grapefruits can supplement native rangeland grass during the summer months in South Florida and have been found to limit weight losses (Rummell, 1957). Fresh citrus fruits included in the diet of lactating ewes at 10 to 30% (DM basis), replacing rolled barley and beet pulp, caused a reduction in milk fat content, together with modifications of the milk composition (decrease of long-chain fatty acids and unsaturated fatty acids) (Piquer, 2006; Rodriguez et al., 2006). An increase in total milk yield was observed at 30% citrus inclusion. Citrus fruits were found to be suitable for ewe feeding but caution is advisable when animals are in poor condition (Piquer, 2006). Fresh citrus fruits can also replace wheat grain and be included at up to 39% (DM basis) in the diet. The citrus fruits gave a steady rumen fermentation pattern, and maintained pH at higher levels (Piquer et al., 2009b). The inclusion of whole fresh clementines in the ration of lactating ewes at up to 30% of the diet did not negatively affect the properties of milk and the biochemical and sensory characteristics of cheeses (Jaramillo et al., 2009). The inclusion of ensiled sliced oranges in the diets of dairy ewes (3 kg per animal per day) caused a reduction of total milk yield and an increase of milk fat content; however, milk yield standardized at 6% fat was not influenced by diet (Volanis et al., 2004). Sun-dried whole citrus fruits included at 7 to 21% in the diets of growing lambs could be used as an alternative to beet pulp and did not affect growth and rumen wall health (Piquer et al., 2006). Pigs prefer oranges and tangerines to grapefruit. Free-choice feeding of citrus fruits together with a protein supplement has given good results (Göhl, 1970). Volcani, R., 1950. Butterfat content of cow's milk. B. The effect of feeding whole citrus fruit and some of its parts on the fat percent.. Rehovoth (Israel) Agric. Res. Stat. Bull. No. 53, 1950, March 82 pp.